National Disappointment. 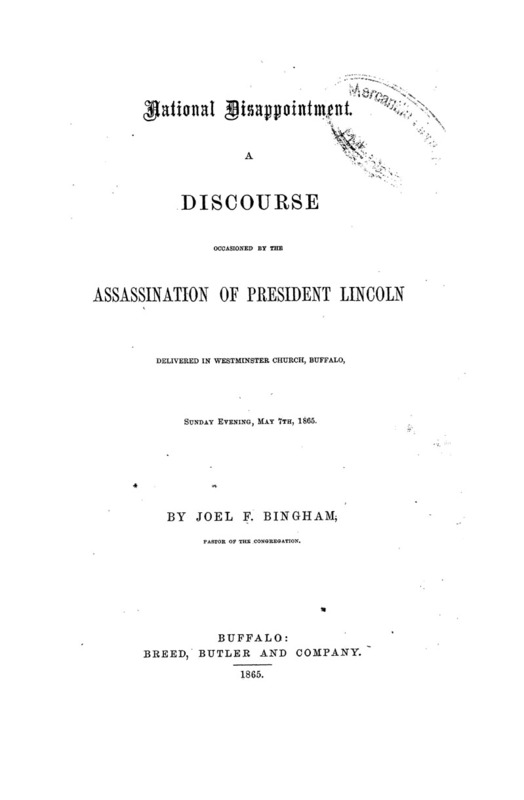 A Discourse Occasioned by the Assassination of President Lincoln. Sermon delivered by Joel F. Bingham in Westminster Church, Buffalo, New York.